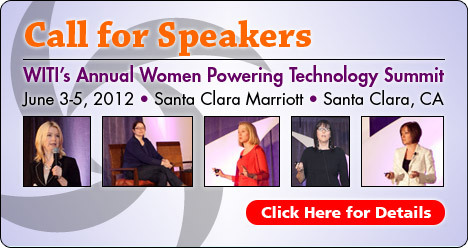 WITI has opened the annual call for speakers for the 2012 Women Powering Technology Summit, which will take place June 3-5, 2012, at the Marriott in Santa Clara, California, during National Women in Science and Technology Month. Today's marketplace is ruthless - the economy is tough and social technology is changing faster than ever - but it's also an unprecedented opportunity to MASSIVELY SCALE YOUR BRAND, PROFIT and POSITIVE IMPACT ahead of your competitors. The We First Social Branding Seminar makes this possible.